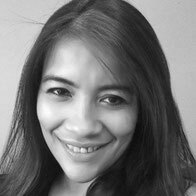 Achara is a Western Medicine Herbalist and Thai Massage Therapist and Teacher with a wealth of knowledge and experience. She grew up in Thailand with a deep interest in holistic practices and therapies. She believes that the human body has the ability to self heal if we let that process occur and support the body with natural methods. Modern lifestyles have a big impact on our health especially stress, these can be managed with the right treatments, exercise, lifestyle and diet. She is trained in Traditional Thai Massage and Advanced Levels. She holds various holistic therapies accreditation such as Deep Tissue, Lymphatic Drainage, Pregnancy, Hot Stone therapy, Lomi Lomi, Thai Herbal Compresses, Thai Foot Massage and Traditional Thai Medicine, Thai Chair Massage and Thai Tok Sen, and Buddhist study. She currently teaches the Advanced Thai Yoga Massage Courses, and runs her busy practice in Walthamstow. Her family runs an established traditional Thai Massage School in Thailand, and she assists with lecturing. Achara is a medical herbalist and offers workshop in herbal remedies making, herb walks, making natural products, herbal medicine making, wild-crafting.